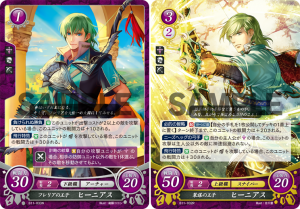 Cipher Series 11 Pre-Release Livestream + Set List! This past Sunday, the Fire Emblem Cipher team held the Series 11 Pre-Release Livestream for the upcoming S11! 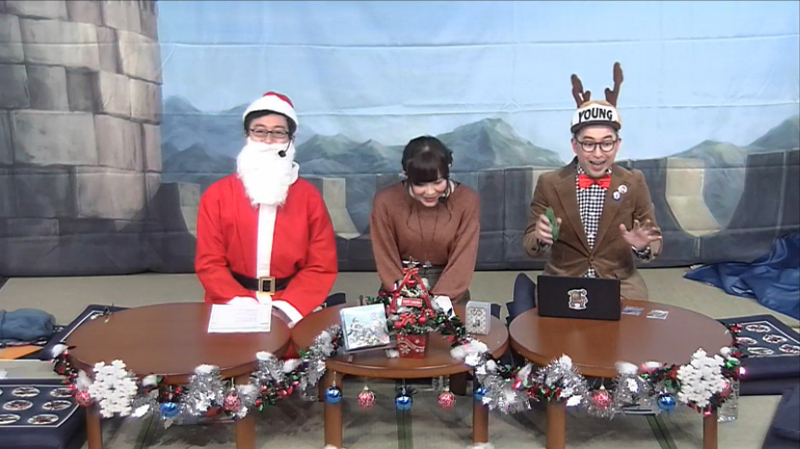 As usual, Ryota Kawade and Young led the show, this time with a rather festive air. Minami Takahashi, the voice actress for Peri from Fates, was also present as a guest host throughout the show. 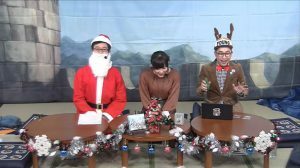 The main focus of the livestream was to show off cards for S11 which releases tomorrow, 7 December! 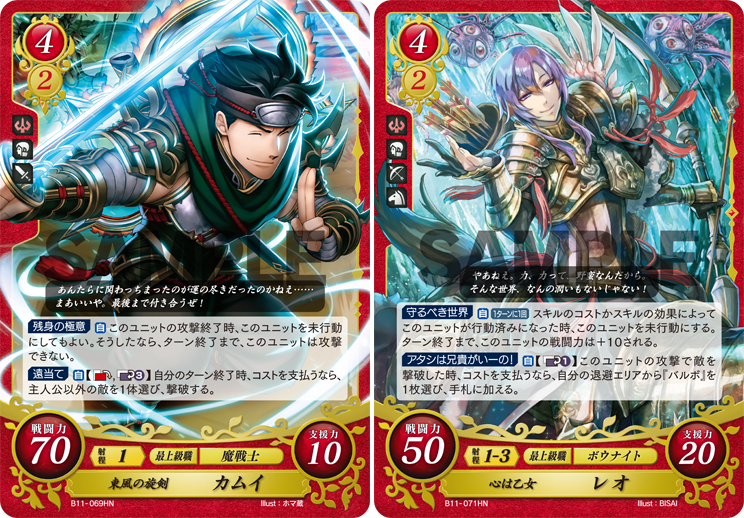 The set focuses on characters from The Sacred Stones, Fire Emblem Echoes, and Fire Emblem Warriors. 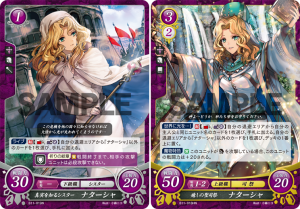 In addition to showing off cards, we also got a sneak peak at some of the merchandise that will be available at Comiket 93 this year, along with some more art for the next set, S12, which will release in March. We were also joined by a number of guests throughout the show, including both new and familiar faces. Read on below for a full look at everything the livestream had in store! 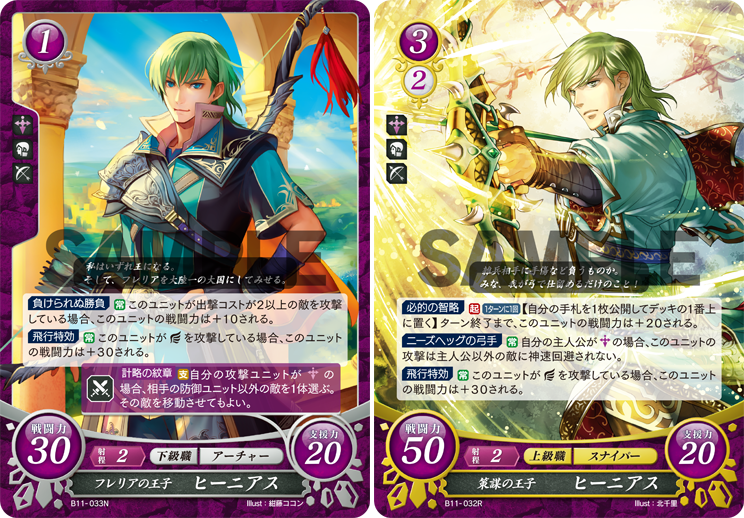 Cipher S11 Weekly Recap: Final Daily Reveals & Pre-Release Livestream Reminder! 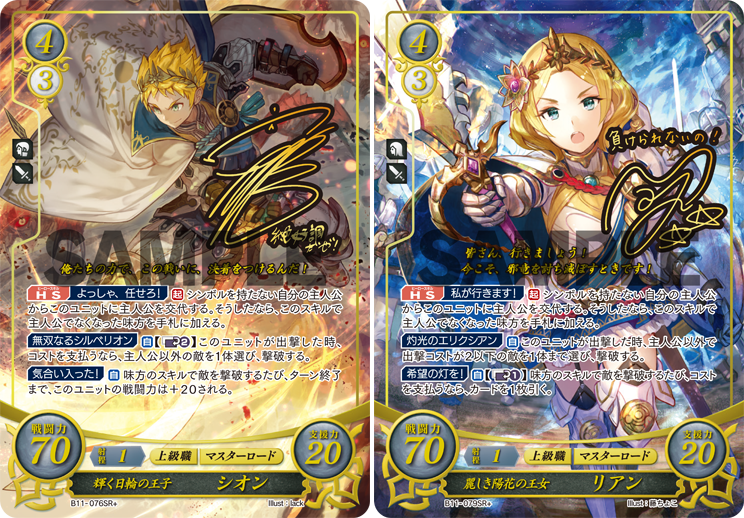 We’ve almost reached the release week for Series 11 of Fire Emblem Cipher! 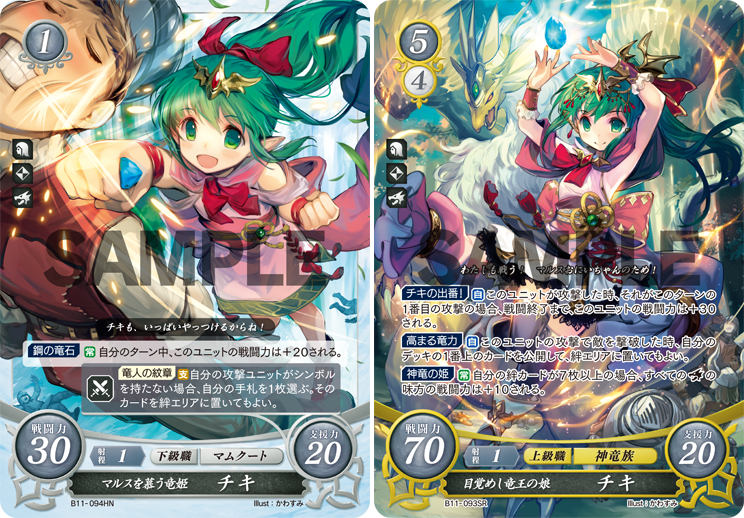 This week of reveals has primarily included foil cards, culminating in this dual reveal of Tiki! This spunky manakete gets both an HN and an SR based on her Fire Emblem Warriors appearance. 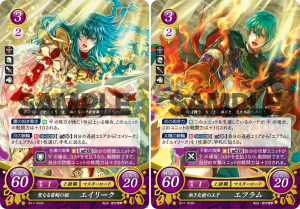 The remaining reveals all contained R cards and were primarily for The Sacred Stones. Eirika and Ephraim each receive an R card in the set to match their SRs and unpromoted HNs. 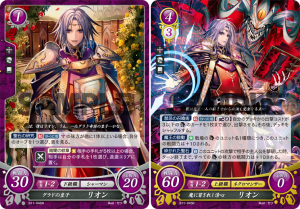 Lyon also received an N and a promoted R card from before and after his corruption by Formotiis. 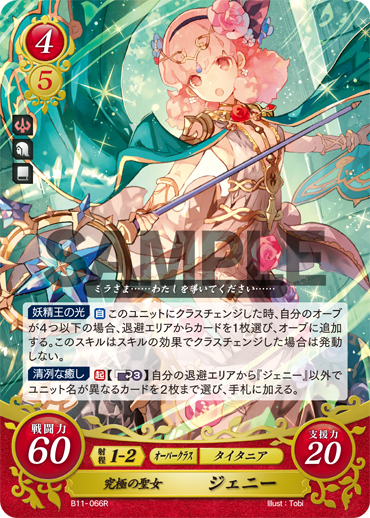 We also get both an R and an R+ card for the manakete Myrrh! Her R+ card is more peaceful while she really shows off the power of her Dragonstone in her regular R. The final reveal of the week goes to Genny from Fire Emblem Echoes. 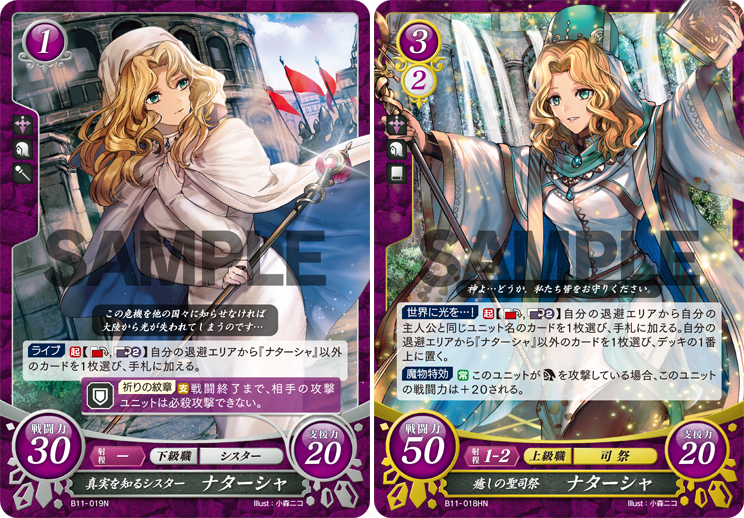 She receives an adorable R card in her canon Overclass, the Exemplar. 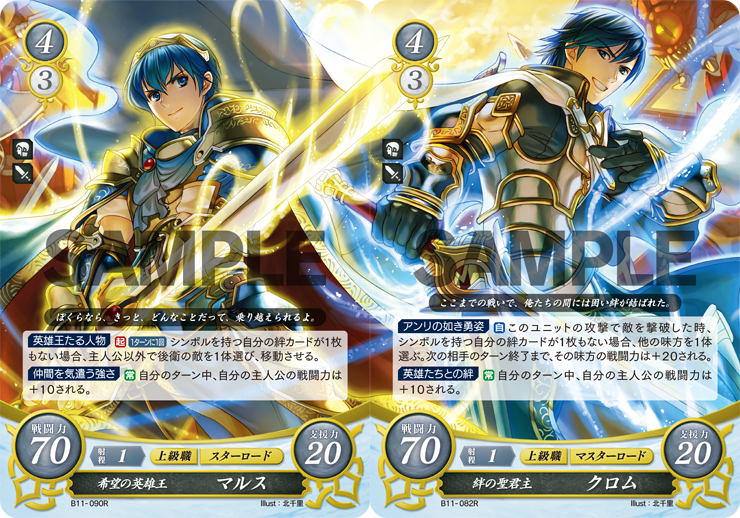 Cipher S11 Weekly Recap: Daily Reveals, Website Update, & More Livestream Guests! We’re just a couple short weeks away from the Series 11 release of Fire Emblem Cipher! 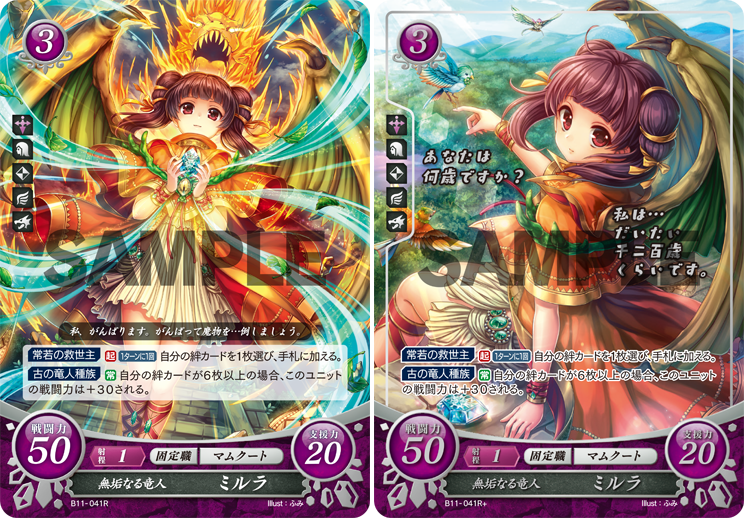 The @fecipher twitter account has been busy this week revealing a number of cards from the set. Senri Kita drew this gorgeous joined-art of Marth and Chrom for the Fire Emblem Warriors block. Their outfits are based on their Warriors promotions in-game. 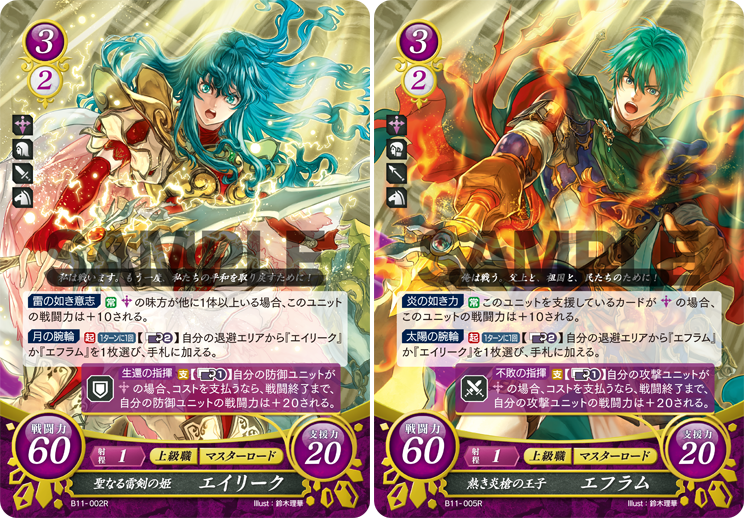 For The Sacred Stones, both Frelian royal siblings also had cards revealed this week. Innes has both an N and an R card, and wields Nidhogg in his promoted card. 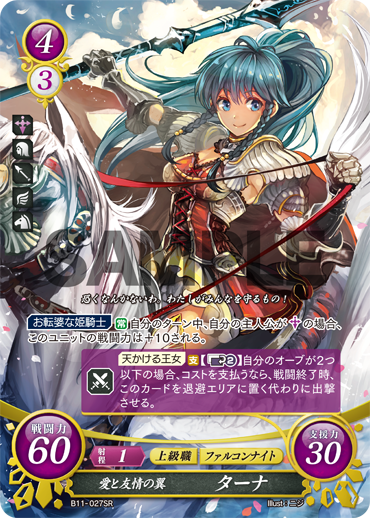 His sister Tana snags a gorgeous SR promoted card. 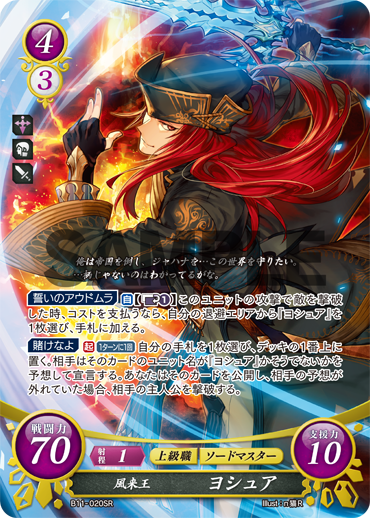 Her lance looks very much like Vidofnir as well, though the card text neither confirms or denies it. The final reveal of the week goes to Clive from Fire Emblem Echoes! He appears here as a Skogul, the third Overclass to get representation in S11 so far. This is the R+ variant of the card which includes special gold foiling and a signature from his voice actor, Hiroshi Kamiya. Cipher S11 Weekly Recap: Daily Reveals, Ad Posters, Promo Text-Free Art & Livestream Announcement! 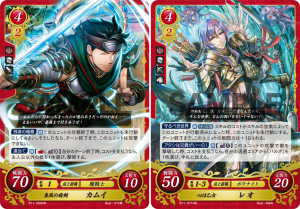 It’s another exciting week of news for Fire Emblem Cipher fans! 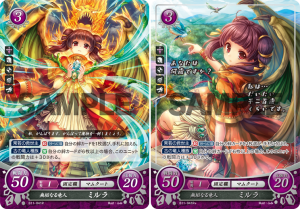 @fecipher has been busy with another series of reveals, including two beautiful SR+ cards for Rowan and Lianna! 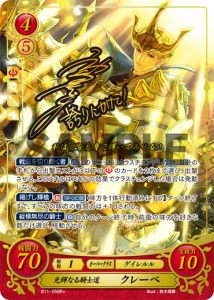 The twin lords of Fire Emblem Warriors each have a signed card featuring their voice actors, Yuuma and Maaya Uchida. Did you know their voice actors are also siblings? 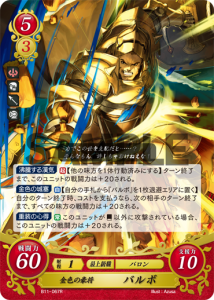 Joshua from The Sacred Stones also receives an SR this week. Standing alongside him is Natasha, who gets an N and HN combo. The final official reveals of the week go to Fire Emblem Echoes. 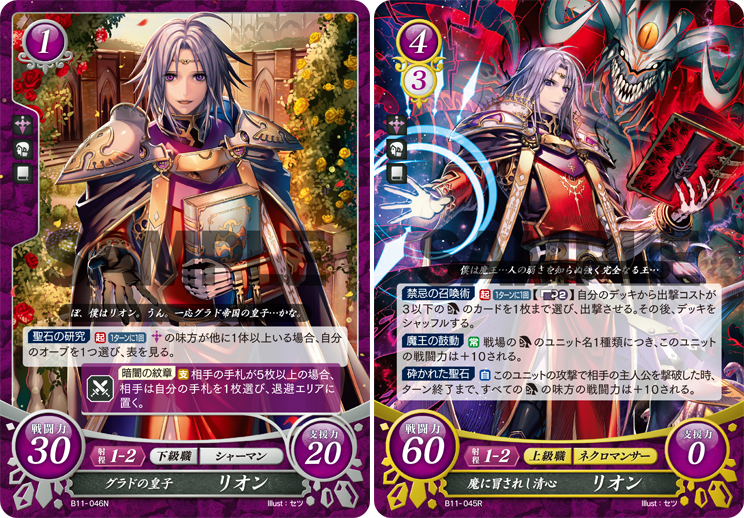 Valbar, Kamui, and Leon all had promoted cards revealed this week, an R for Valbar and HNs for Kamui and Leon. That’s not all the new cards we get to see this week, though. New posters advertising S11 have begun to spring up around Japan. These posters contain a combination of new and previously-released cards in the series.